When it comes to a commercial enterprise, one needs to find a reputable roofer who will be efficient in dealing with a roofing project. Roofing installation companies of repute understand the demands of a roofing job and are more than willing to help out the owner in whichever ways possible. 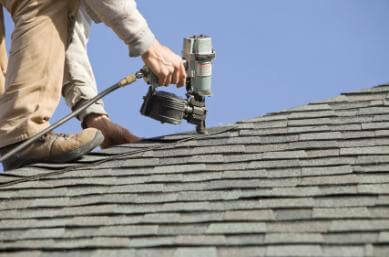 Searching for roofers can be an easy task if you adhere to certain guidelines. You should be extra conscious in the selection of the most appropriate and well-established roofers. The strength of your home does not only depend on the look, appeal, and investment; but the roof has also to be considered in the segment. At the same time, you will be needed to hire the best roofers to have the perfect and complete inspection of the home roof. It will be the contractor only who will guide you through the quality and best materials that will be used in the roof installation and repair. There are a lot of benefits once you get your roof inspected by a professional roofer. In fact, investing a little on the maintenance and repairing of the roof will save a lot of money in the long run, and it will also offer plenty of strength. The professional Cleveland Roof Installation contractors are aware of all the latest technologies involved in the roofing process of the present day. They use different materials such as metal roofs, flat roofs, rubber membrane and also tile and slate roofs. The person paying for a professional roof installation in Cleveland deserves the best for the money they pay for the service. The roofing company provides a service 24/7 as that helps the house owner to schedule the roof treatment process when he/she has enough time to manage the process of the work personally. Around the clock service procedure also makes sure perfect solution whenever there is an emergency situation cropped up by a sudden damage or any other condition. The very professional group of roofers in Cleveland offer their clients effectual warrants that they require before making the payment and hiring the company officially for their services. Several companies offer the service of professional roof installation in Cleveland. The house owner has to be a little vigilant to hire the service that suits the individual’s need the most.It should always be kept in mind that the company is well established, legalized and have the proper support of tools and workforce to repair the damaged roof. When it comes to commercial roofers, resident and business owners can find some such companies. You can easily find the right company for the job. You will continue to enjoy the services of a properly installed roof for a long time to come. Beneficial Roofing has many years of experience, and they ensure that the work process is done with ultimate efficiency and expertise. If the process is pursued through their method, it always yields valid results. The roofing contractors also have a valid license of the company that validates the identity of its business and also ensures quality of service. They have experience in the particular field that paves the way for skill and effective implementation of knowledge about the work process of roofing installation.